The Icon Alliance GT is the 2016 addtion to Icon's fanstatic Helmet Range. The already brilliant Icon Alliance has grown and evolved to create the versatile Icon Alliance GT. Icon kept the world renowned comfort and ventilation and added an inner DROPSHIELD for those rides that start before sunrise and finish well after sunset. 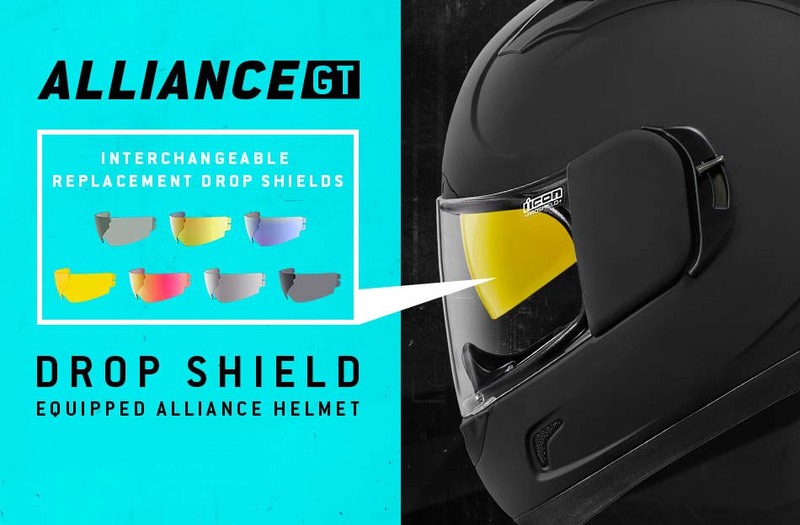 The Alliance GT offers industry leading variety with a selection of interchangable different tint Dropshield's to customise the look and fit your riding needs.